Atypical hemolytic uremic syndrome (aHUS) is caused by complement overactivation, and its presentation and prognosis differ according to the underlying molecular defects. The aim of this study was to characterize the genetic backgrounds of aHUS patients in Japan and to elucidate the associations between their genetic backgrounds, clinical findings, and outcomes. We conducted a nationwide epidemiological survey of clinically diagnosed aHUS patients and examined 118 patients enrolled from 1998 to 2016 in Japan. We screened variants of seven genes related to complement and coagulation, as well as positivity for anti-CFH antibodies, and assessed clinical manifestations, laboratory findings, and clinical course. The most frequent genetic abnormalities were in C3 (31%) and the frequency of CFH variants was relatively low (10%) compared to Western countries. The predominant variant in this cohort was C3 p.I1157T (23%), which was related to favorable outcomes despite frequent relapses. A total of 72% of patients received plasma therapy, while 42% were treated with eculizumab. 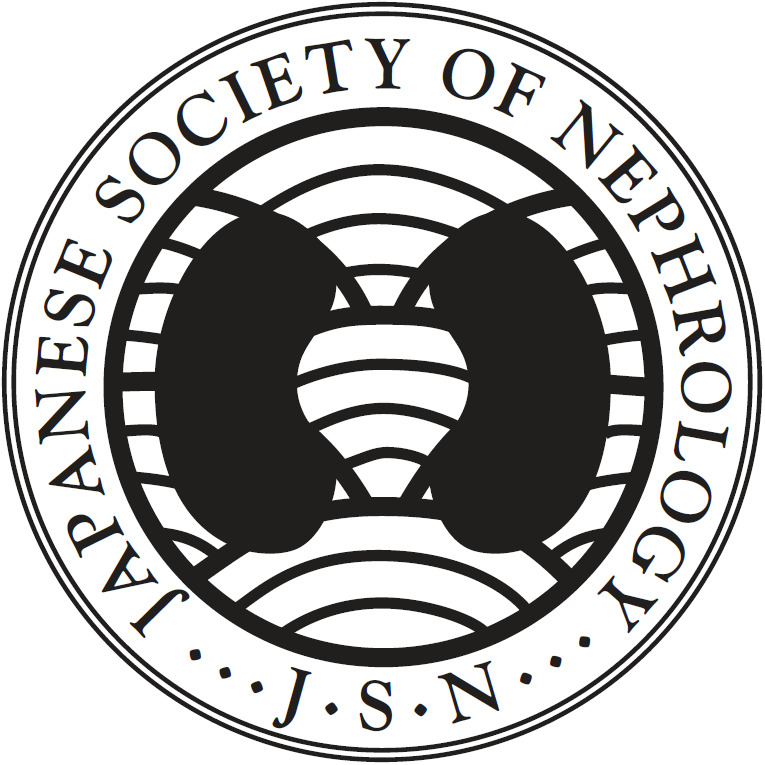 The prognosis of Japanese aHUS patients was relatively favorable, with a total mortality rate of 5.4% and a renal mortality rate of 15%. The common occurrence of genotype C3, especially the p.I1157T variant was the characteristic of the genetic backgrounds of Japanese aHUS patients that differed from those of Caucasian patients. In addition, the favorable prognosis of patients with the unique C3 p.I1157T variant indicates that understanding the clinical characteristics of individual gene alterations is important for predicting prognosis and determining therapeutic strategies in aHUS. The online version of this article ( https://doi.org/10.1007/s10157-018-1549-3) contains supplementary material, which is available to authorized users. The original version of this article was revised due to a retrospective Open Access order. Atypical hemolytic uremic syndrome (aHUS) is a severe systemic disease characterized by thrombocytopenia, hemolytic anemia, and acute renal injury, and is induced by complement overactivation in the alternative pathway . Variants in the genes encoding complement factor H (CFH), complement factor I (CFI), complement C3, complement factor B (CFB), membrane cofactor protein (MCP), thrombomodulin (THBD), and diacylglycerol kinase ε (DGKE) have been identified as inherited defects, and the production of antagonistic anti-CFH antibodies is a known acquired complement abnormality causing dysregulation of the complement pathway. The pathogenesis of aHUS has been elucidated both by recent advances in genetic research and epidemiological studies in aHUS patients. The development of aHUS is considered to require the involvement of various environmental factors besides the underlying complement overactivation . Furthermore, the clinical presentation and prognosis of aHUS differ depending on the underlying molecular abnormality. Therefore, genotype identification is clinically significant not only for aHUS diagnosis, but also for predicting each patient’s treatment response and prognosis. Racial and regional differences were suggested by our previous report, which showed a high incidence of C3 variants in Japanese aHUS patients in a small cohort [3, 4]. This finding suggests that aHUS patients in Japan have unique genetic backgrounds, though larger numbers of patients should be analyzed. Moreover, the influence of regional and racial differences on clinical characteristics is unclear and requires further study. Against this background, this study aimed to document the genetic backgrounds and comprehensive characteristics of Japanese patients with initial onset aHUS, constituting the first large-scale cohort in East Asia. We clarified the racial differences in the genetic backgrounds of aHUS patients and the importance of understanding the clinical differences among individuals with various underlying abnormalities. We enrolled Japanese patients clinically diagnosed with aHUS from 1998 to 2016 as part of a research project with the support of the Ministry of Health, Labour, and Welfare of Japan. Diagnoses were based on Japanese guidelines for aHUS  (see Online Resources). Clinical and laboratory data were retrospectively collected from consultation letters or questionnaires. ESRD was defined as severe renal impairment requiring renal replacement therapy (RRT). Remission was defined as hematological remission (platelet counts above 10 × 104/μl and lactate dehydrogenase (LDH) levels below 222 U/l) with preserved renal function (not reaching ESRD). Genetic analysis was performed at the Department of Molecular Pathogenesis of the National Cerebral and Cardiovascular Center, as previously described [6, 7] (see Online Resources). Variants with amino acid substitutions in exon sequences, whose minor allele frequency (MAF) scores were < 0.005 in international databases (see Online Resources), were designated as candidate aHUS-predisposing variants. The presence of anti-CFH autoantibodies in each patient’s plasma or serum was evaluated using CFH IgG ELISA kits (Abnova, Taipei, Taiwan) according to the manufacturer’s instructions. Positivity was also confirmed by Western blot analysis, as previously described . Statistical analysis was performed with JMP® Pro 11.2 (SAS Institute Inc., Cary, NC, USA). Results are expressed as numerical values and median (range) for continuous variables and as percentages for categorical variables. Differences in clinical presentations and laboratory data among patients with C3 p.I1157T and other C3 variants were analyzed by chi-squared or Fisher tests. Cumulative renal survival rates were estimated by Kaplan–Meier analyses, excluding dead patients, and the log-rank test was used to compare these rates between C3 p.I1157T and other C3 variants. Differences were considered statistically significant at p < 0.05. This study was approved by the ethical committee of The University of Tokyo Hospital (IRB G10029) and registered to UMIN-CTR (UMIN000014869). It was performed in accordance with the 1964 Declaration of Helsinki and its later amendments, and the Ethical Guidelines on Clinical Studies of the Ministry of Health, Labour and Welfare of Japan. Written informed consent was obtained from all patients or from their parents. One hundred eighteen Japanese patients from 103 families were clinically diagnosed with aHUS from 1998 to 2016 (Table 1). Initial onset occurred at a median age of 6 years, ranging from 3 months to 84 years, and during childhood (< 18 years of age) in 65% of cases. Seventy-six patients were males (64%), and this male predominance existed regardless of age (52 males and 25 females in childhood, and 24 males and 17 females in adulthood). Clinical manifestations of each patient were evaluated at their first visit for aHUS symptoms (Table 1, left column). Overall, 75% of patients experienced possible triggering events before hospitalization. Among patients whose laboratory data were available, 25% did not manifest all three triads of thrombotic microangiopathy. Anemia (Hb levels < 10 g/dl) was observed in 75% of patients and severe anemia (< 6 g/dl) was seen in 18%. Increased levels of LDH (> 222 U/l) were found in all patients, but they ranged widely, from 276 to 8800 U/l. Thrombocytopenia (platelet count < 15 × 104/μl) occurred in 97% of patients, and was severe (< 3 × 104/l) in as many as 42%. All patients demonstrate acute kidney injury (except three already diagnosed with ESRD), and 48% required RRT during hospitalization. Decreased levels of C3 (< 73 mg/dl) were found in 47% of patients. Most patients demonstrated severe proteinuria and hematuria. The median proteinuria level was 11.7 g/g Cre, and 44% of patients developed nephrotic syndrome. Moreover, 98% of patients showed dipstick-positive hematuria, which was confirmed in 85% of cases by microscopic evaluation. The coagulation–fibrinolysis system was evaluated based on the Japanese criteria for diagnosis of disseminated intravascular coagulopathy (DIC)  (Fig. 1). We found that 72% of patients showed increased levels of fibrinogen/fibrin degradation products (FDP) (> 10 mg/dl). However, at their initial presentation, only 13% of patients had a mildly elevated international normalized ratio of prothrombin time (PT-INR) (> 1.25), 8% demonstrated mildly decreased fibrinogen levels (from 100 to 150 mg/dl), and 2% exhibited severely decreased fibrinogen (< 100 mg/dl). We screened seven genes and anti-CFH autoantibodies, all related to the development of aHUS, in 104 patients, whose samples were available. Twenty-seven variants were detected in 48 patients (46%) (Table 2). Anti-CFH autoantibodies were identified in 20 patients, none of whom demonstrated pathogenic or rare gene variants in the seven analyzed genes. Patients were classified into the following six groups according to the identified abnormalities: C3, 32 of 104 patients (31%); CFH, 10 (10%); MCP, 5 (5%); DGKE, 1 (1%); anti-CFH autoantibody, 20 (19%); and unidentified, 36 (35%). No rare, non-synonymous variants in CFB or CFI were detected. Genetic testing revealed that compared to Western countries, the frequency of CFH variants in Japan (10%) was lower [2, 9] while that of C3 variants was higher (31%). Of note, the C3 p.I1157T variant was detected in 24 patients (23%) from 16 families. Six patients had combined mutations: three carrying C3 p.I1157T also had heterozygous MCP variants with unknown pathogenicity; two from the same family had MCP p.T98I, and one had MCP p.P195S. One patient had THBD p.T500M in addition to CFH p.R1215Q, the latter of which is located in a mutational hotspot region of CFH and was reported to impair function . One patient had a combination of two heterozygous MCP variants, p.Y189D and p.A359V, the first of which was shown to be predisposing . We screened for DGKE variants in 22 patients under 2 years [12, 13] and identified one patient (5%) with compound heterozygous variants [7, 14]. We then compared the clinical characteristics of aHUS patients according to genetic or acquired backgrounds. Age at the initial aHUS onset differed depending on the underlying abnormality, but the initial episode usually occurred during childhood in the C3, MCP, and unidentified groups (Table 1 and Online Resource 1). Patients with anti-CFH antibodies showed a biphasic distribution of age at aHUS onset: during childhood (from ages 4 to 11) in 80% and during middle-to-old age in the remaining 20%. Males were more commonly affected than females in all groups. A family history of aHUS was frequent in the C3 (47%) and MCP (40%) groups, was rare in the CFH (10%) and the unidentified (3%) groups, and was absent in the DGKE and anti-CFH antibody groups. Although most laboratory data at the first visit after initial aHUS onset did not differ between groups, severe anemia was observed in patients with CFH variants (38%), and the ratio of patients with reduced C3 levels varied by abnormality. Approximately half of the patients with C3, MCP variants, one patient with DGKE variant, and 89% of the patients with anti-CFH antibody showed decreased levels of C3. Information on treatment administered at the initial onset of aHUS was available in 101 patients (Table 3). Seventy-four patients were treated with plasma therapy at a median of 2 days (1–38 days) after admission, including 33 who began taking eculizumab at a median of 10 days (1–181 days) after starting plasma therapy. One patient was treated with eculizumab only. Fifty-two patients were diagnosed with aHUS after eculizumab was approved for the treatment of aHUS in Japan in September 2013. Thereafter, the overall treatment approach to aHUS changed and 54% (28/52) of patients were treated with eculizumab. The mortality rate of aHUS patients in the acute phase was 3.3% and did not differ according to abnormality. The overall renal mortality rate at discharge was 12.8%, but was higher in CFH variants (38%) and the unidentified group (24%). The risk of death or ESRD in the acute phase did not differ by treatment choice for any abnormality (Online Resource 2). Patients were followed for a median of 2.5 years (1 month to 54 years) after the initial onset of aHUS, both retrospectively and prospectively in 104 patients. The total mortality rate was 5.4%, with two patients dying within a year after hospital discharge (Table 3 and Online Resource 3), and the renal mortality rate was 15% (Fig. 2 and Online Resource 4). Relapses occurred in patients with DGKE (100%), C3 (77%), MCP (50%), and CFH (38%) variants. Forty-one patients received eculizumab therapy, including those treated for relapses. Eculizumab was discontinued in 13 patients, 12 of whom maintained remission for a median of 1 year (0.5–3 years), while one patient with C3 p.I1157T relapsed and resumed eculizumab treatment  (Online Resource 5). All 27 patients who received eculizumab as maintenance therapy were free from relapses, ESRD, and death, except for the single patient with a DGKE variant. Among the 20 patients with anti-CFH antibodies, 8 were treated with immunosuppressive medication, 5 with observational therapy, and 4 with eculizumab, each as maintenance therapy. Two patients were able to withdraw from RRT (Online Resource 4) more than a year after aHUS onset, and ultimately all 20 patients were free from relapse, ESRD, and death. Renal transplantation was performed in three patients, all of whom experienced aHUS relapse after transplantation. One with C3 variant redeveloped ESRD, while the other two, one with CFH variant and the other in the unidentified group, recovered renal function (Online Resource 4). The clinical characteristics of patients with the C3 p.I1157T variant differed in several ways from those of patients with other C3 variants (Table 4). Interestingly, reduced C3 levels at aHUS onset were observed in none of the patients with C3 p.I1157T but all of those with other C3 variants (Table 4). The median number of relapse episodes in patients with C3 p.I1157T was significantly higher than in those with other C3 variants (2 vs. 0, p = 0.016). However, patients carrying C3 p.I1157T showed better outcomes, both in the acute phase (p = 0.041, Table 4) and during long-time follow-up (p = 0.023). Furthermore, many C3 p.I1157T patients achieved remission with only supportive care (65%) or plasma therapy (35%). We report here a nationwide aHUS cohort in Japan in the first study from East Asia to include a substantial number of patients, as well as one of the largest global aHUS cohort series. We included 118 patients clinically diagnosed with aHUS over the last two decades and confirmed higher frequencies of C3 variants and anti-CFH antibodies and lower frequencies of CFH variants in Japanese patients compared with Caucasians [2, 9, 16]. These findings agree with those of cohorts from East Asia with limited age distributions or small sample sizes [17, 18]. Moreover, in this study, we expanded our aHUS previous cohort , and reconfirmed that C3 variants are frequent in Japan, and demonstrated that the most common genetic abnormality was C3 p.I1157T. This variant has not been found among East Asian and Japanese healthy populations. Thus, we revealed that genetic backgrounds differ by region and race. Patients with the unique C3 p.I1157T variant were notable not only for their high frequency of relapses, but also for their favorable prognosis; 92% of them remained in remission (median and average follow-up was 21 and 22 years, respectively) despite repeated relapse episodes. Relapses could usually be treated successfully with just supportive care, and in that respect differed from relapses of patients with other C3 variants. These findings not only reaffirm the importance of characterizing the genotype–phenotype correlation in aHUS [2, 9, 19, 20], but also suggest that clinical presentation can be influenced differently by particular variants in the same defective protein. Furthermore, this finding raises a recently debated issue , namely, the permanent use of eculizumab for managing aHUS. Our study of C3 p.I1157T indicates the importance of understanding differences in the natural history of aHUS and treatment duration and decision of discontinuation might depend on individual genetic variations. Since there is no objective test for diagnosing aHUS except for time-consuming genetic analysis, diagnosis depends on recording clinical manifestations and basic laboratory data at the first visit, especially for initial disease onset. The following three findings provide additional clues supporting its clinical diagnosis. First, nearly, half of aHUS patients, regardless of their underlying pathogenic abnormalities, presented with severe thrombocytopenia (< 3 × 104/μl). While this condition is a well-known characteristic of TTP in thrombotic microangiopathy , our data suggest that it may not only indicate TTP, but also aHUS. Second, many patients exhibited severe hematuria and proteinuria. Although those with DGKE variants are known to manifest nephrotic syndrome , we observed severe proteinuria in up to 50% of patients with other genetic abnormalities. Finally, aHUS patients showed activation of the coagulation and fibrinolytic systems without severe consumption of clotting factors. Even though differentiating between DIC and aHUS has been controversial , our laboratory data indicated that most aHUS patients do not meet the criteria for DIC. Furthermore, we reported findings regarding practical treatments and their outcomes not only in the acute phase, but also over relatively long periods. Renal outcomes in Japanese patients were better than those in Caucasian patients [9, 24], even before eculizumab was introduced. This is probably due to the unique genetic background of the Japanese population, specifically the predominance of C3 p.I1157T and anti-CFH antibodies. This background also likely explains the lack of significant differences between the outcomes of patients treated with eculizumab (overall renal mortality rate: 20%) and without eculizumab (renal mortality rates of patients treated with observational therapy and plasma therapy: 13 and 9%, respectively) (p = 0.22, Online Resource 2). 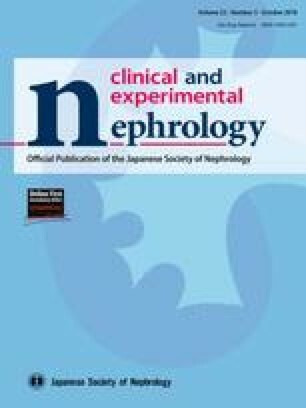 The reason we observed better outcomes in patients with anti-CFH antibodies compared to previous reports [2, 25] is unclear, but it too may be due to the unique characteristics of patients in Japan. The optimal duration of eculizumab use and possible withdrawal effects are ongoing questions in the management of patients with various aHUS abnormalities [21, 26] and our report of 13 cases of eculizumab discontinuation could provide new insight into this question. One limitation of this study is that aHUS was not a well-understood entity in clinics approximately 20 years ago, when we started enrolling aHUS patients in Japan (Online Resource 6) [5, 27]. Thus, patients who eventually required permanent RRT might not have been enrolled in this study, which may have improved the prognosis in our cohort. Actually, the risk for ESRD and death did not change before and after the approval of eculizumab (13 and 19%, respectively). Another limitation is that this was an observational study and the prognosis could have change with the development of treatment for aHUS. In conclusion, our study describes the genetic and clinical features of Japanese patients with aHUS, and is the first analysis of this topic in a large cohort of Asian patients. Our results suggest that the etiologies of aHUS might differ among continents and races. The C3 p.I1157T variant was predominant in Japan, was associated with a favorable prognosis, and differed from other previously reported C3 variants. Our findings emphasize the importance of a detailed understanding of each patient’s genotype and its corresponding clinical characteristics, as this knowledge is necessary to help determine treatment strategies, including eculizumab discontinuation. Hospital, Kurobe City Hospital, Teine Keijinkai Hospital, National Center for Child Health and Development, Chiba Children’s Hospital, Chukyo Hospital, Tenri Hospital, Tokyo Women’s Medical University, Tokyo Metropolitan Children’s Medical Center, Japanese Red Cross Nagoya Daini Hospital, Nara Medical University, and Japanese Red Cross Fukuoka Hospital. HK and MN conceived and designed the clinical study; YY helped design the study and collect data. TU helped design and performed statistical analyses. M.T. helped formulation of registration system of UHCT ACReSS (University Hospital Clinical Trial Alliance in Japan). MF and HW helped collection of clinical data of some patients. YU, KK, and TM performed genetic analyses. MM and YF helped design the study and collect data. All authors were involved in writing the paper and had final approval of the submitted and published versions. This study was supported by research grants from the Ministry of Health, Labour, and Welfare of Japan (MN, HK, and TM); the Japan Society for the Promotion of Science, Grant-in-Aid for Scientific Research (C) (15K09246, HK, 16K09834, TM); the Japanese Association for Complement Research (HK); the Takeda Scientific Foundation (TM), and the Practical Research Project for Rare/Intractable Diseases from Japan Agency for Medical Research and Development, AMED (17ek0109254h0001, HK, MN, TM, MM and YY). Kato and Masaomi Nangaku from Alexion Pharma, Hideo Wada from IL Japan and Alexion Pharma, and Masanori Matsumoto from Asahi Kasei Pharma and Alexion Pharma, Research funding: Masanori Matsumoto from Bayer Yakuhin, Chugai Pharmaceutical, and Asahi Kasei Pharma, Subsidies or Donations: Masaomi Nangaku from Alexion Pharma. Ethical approval: all procedures performed in studies involving human participants were in accordance with the ethical standards of the institutional and/or national research committee at which the studies were conducted (IRB approval number G10029) and with the 1964 Helsinki declaration and its later amendments or comparable ethical standards. Open Access This article is distributed under the terms of the Creative Commons Attribution 4.0 International License (http://creativecommons.org/licenses/by/4.0/), which permits use, duplication, adaptation, distribution and reproduction in any medium or format, as long as you give appropriate credit to the original author(s) and the source, provide a link to the Creative Commons license and indicate if changes were made.